Hello all! 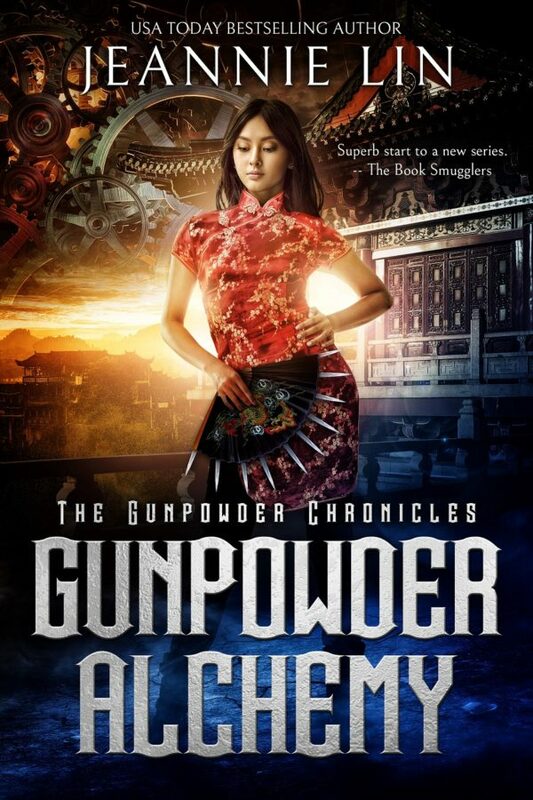 A couple of years ago, I read – and LOVED – Gunpowder Alchemy by Jeannie Lin. The book – and adventure fantasy novel with a side of romance – is now being re-released with a new cover and we are more than happy to support it! 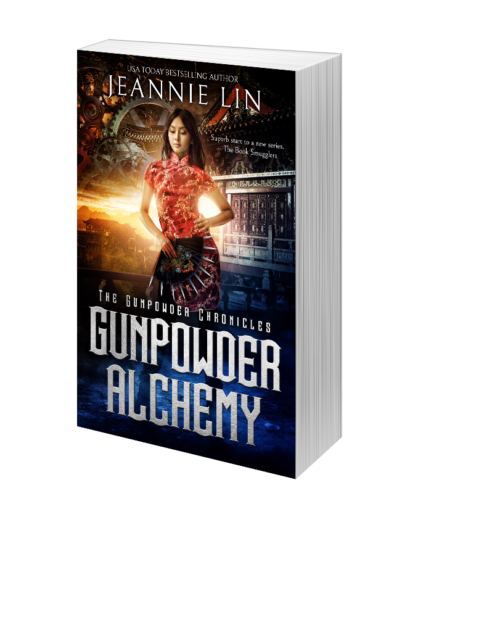 Thus, we are delighted to reveal the new cover for Jeannie Lin’s Gunpowder Alchemy! In 1842, the gunpowder might of China’s Qing Dynasty fell to Britain’s steam engines. Furious, the Emperor ordered the death of his engineers, eliminating China’s best chance of fighting back. Since her father’s execution eight years ago, Jin Soling has kept her family from falling apart. With her mother addicted to opium and her younger brother in danger of being sent off to the factories, Soling has no choice but to sell off the last of her father’s possessions. Unwittingly, her actions bring her to the attention of the imperial court—the same court that betrayed her father. First published in 2014 by InterMix Books. Print book is open to US/Canada only. – Winner #2 One international subscriber will be selected to win an ebook copy and an autographed postcard. Use the form below to enter! Gunpowder Alchemy by Jeannie Lin | Got Fiction?